3. Padded seat and backrest. 4. Powder coated steel frame. 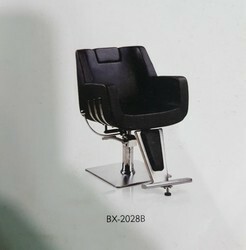 Riding on unfathomable volumes of industrial expertise, we are actively committed towards manufacturing world class Hydraulic Volvo Salon Chair. Pure leather, stainless steel handle, italian hydrolic pump and pu form seat. 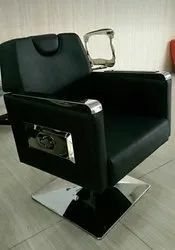 Salon chair with hydraulic, recline upto 180°, revolving 360° and crome plate.